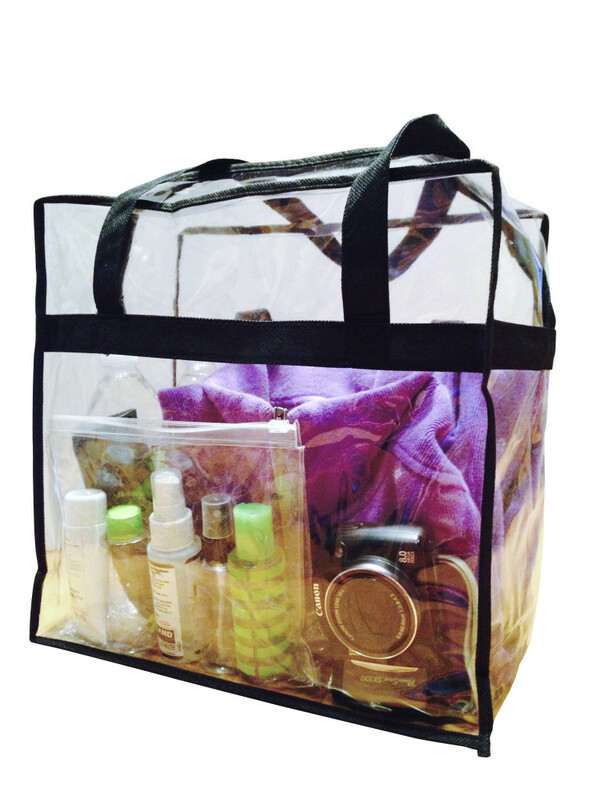 Clear Vinyl Security Tote Bags are used to expedite security checks at airports, distribution centers, retail operations and at sporting events (our bag meets NFL stadium security requirements). 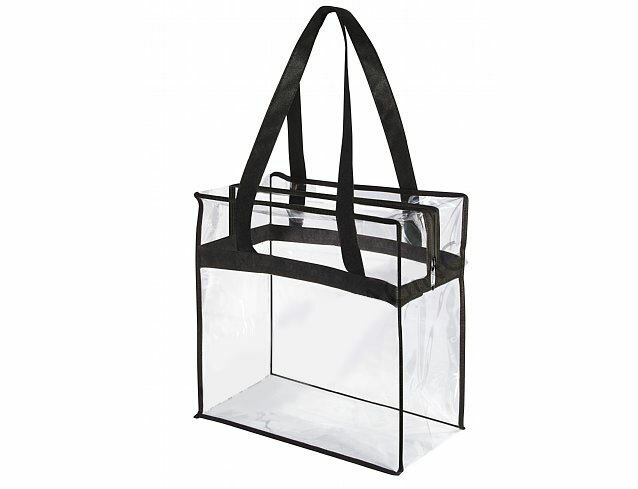 These clear Tote Bags measure 1 2 ” High x 1 2 ” Wide x 6 ” Deep and are made of 8 gauge vinyl with a zipper thru the top & 3” down each side. The 26” handles are sewn into a band that wraps around the bag. TOTE BAGS CAN BE SPECIAL ORDERED WITH IMPRINTED LOGOS OR A COMPANY NAME.